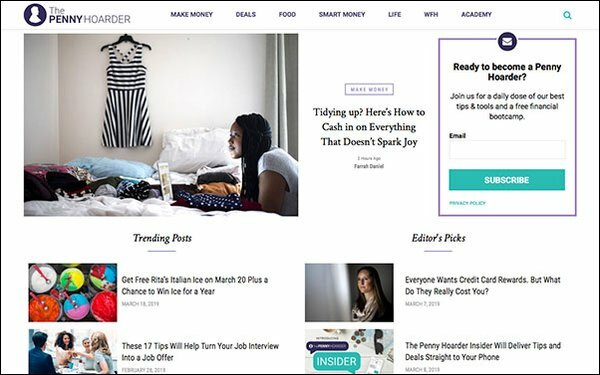 The millennial-focused, personal finance site The Penny Hoarder has shrunk its newsroom, according to multiple reports. The site, based in St. Petersburg, Florida, is owned by founder-CEO Kyle Taylor, who started the website in 2010 with tips on how to save money. The company had over 80 employees at the end of 2017. No official number has been released on how many jobs were cut at The Penny Hoarder, but it affected the video and photo departments, as well as writers. The site was known as one of the fastest-growing private companies in the U.S. The Penny Hoarder is offering severance benefits and outplacement services, Taylor noted. Last month, The Billfold, another personal finance blog, shut down after running for seven years.